Starlite hot surface igniters from the American manufacturer I-Squared-R are made of high purity, self-binding silicon carbide. The hot zone area is specially formed and has maximum strength to achieve a long service life. Starlite hot surface igniters operate in a voltage range of between 208 and 230 Volt and are used as micro heaters in laboratory furnaces, as high temperature igniters to burn off inert gas or in batch furnaces, for example. In the United States and Great Britain in particular, Starlite hot surface igniters are used to ignite gas in gas boilers and in domestic applications, such as gas-fired dryers and water heaters. Many other applications are also possible. Starlite hot surface igniters are the most robust silicon carbide igniters (SiC igniters) available on the market and can be customised to your applications’ electrical and thermal specifications. 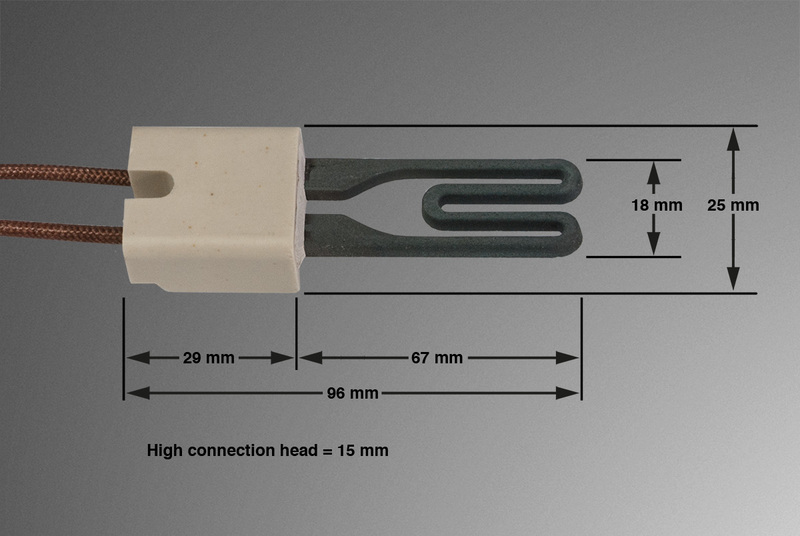 Starlite ignition electrodes are partially shock-resistant, are supplied with optional individual connector sockets and can be ordered with a non-standard connector cable length (approx. 125 mm). 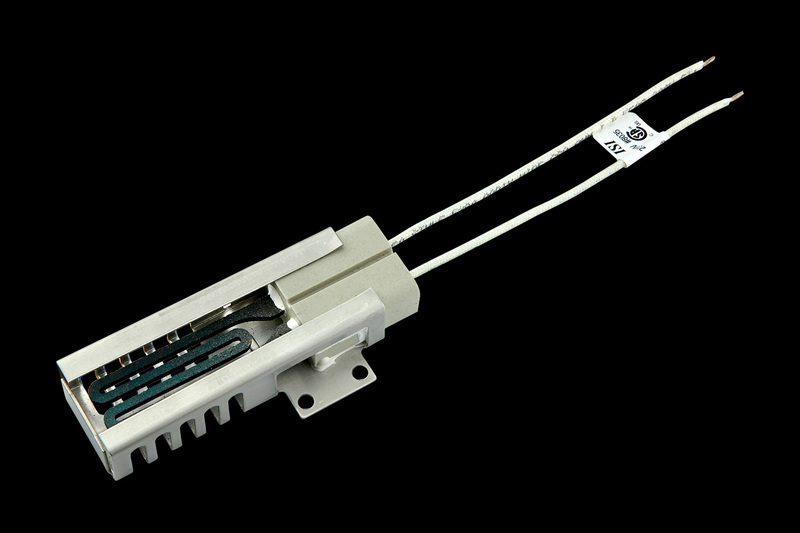 For robust use is SIC-igniter have established with metallic housing (Protection Cage). This article can be delivered within a few days and is available ex stock.